On Feburary 11, 2017, 107 children were being treated at Sacred Heart Children’s Hospital. 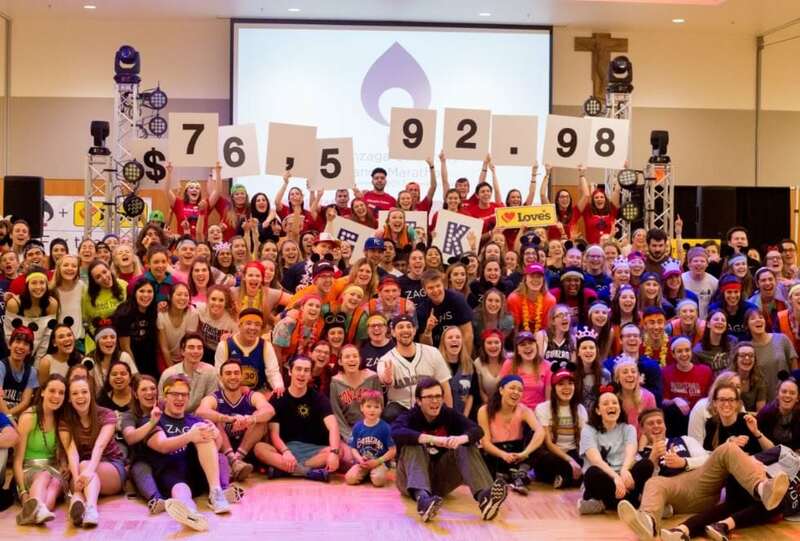 At the same time, inside the John J. Hemmingson Ballroom at Gonzaga University, lights flashed, inflatables bounced, beats blared and 532 Zags came together on the dance floor for those 107 and for every single kid Sacred Heart has or may care for. While Gonzaga University Dance Marathon (GUDM) had many sights to see, it was the view outside the windows which mattered most. Among the skyline of Spokane, Washington, one had a clear view of Sacred Heart and our heroes on the hill. GUDM’s third Dance Marathon, generously sponsored by Love’s Travel Stops and Country Stores, exceeded expectations. Eight hours of vivacious dancing ended in an emotional and exciting final reveal. 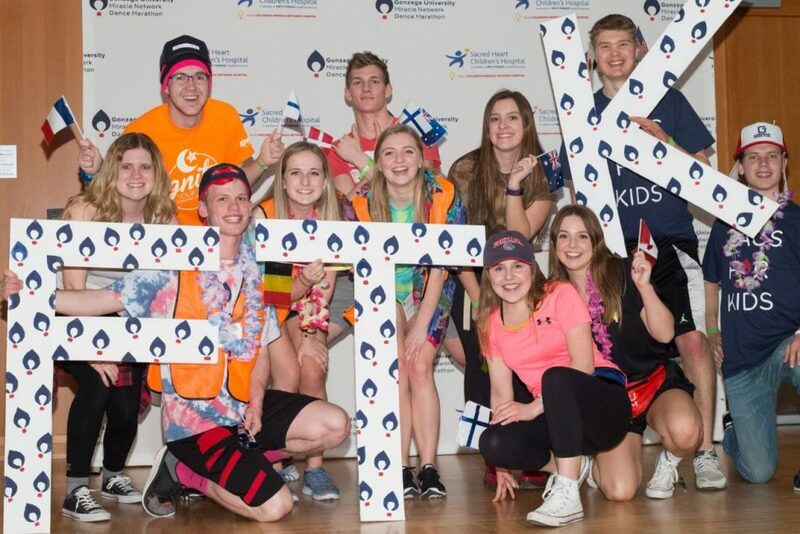 At the beginning of the season, the GUDM Executive Board set a goal of $62,000 for the 62 children who enter a Children’s Miracle Network hospital every minute. Wearing “Miracle Maker” shirts, the board revealed a final fundraising total that surpassed their goal, checking in at $76, 592.98! The final reveal was just one of many highlights which made the event the epitome of what we call a “Zag moment.” The event’s high energy aesthetic and careful attention to creative detail could be found in the Miracle Family Room and in the numerous activities planned for participants. 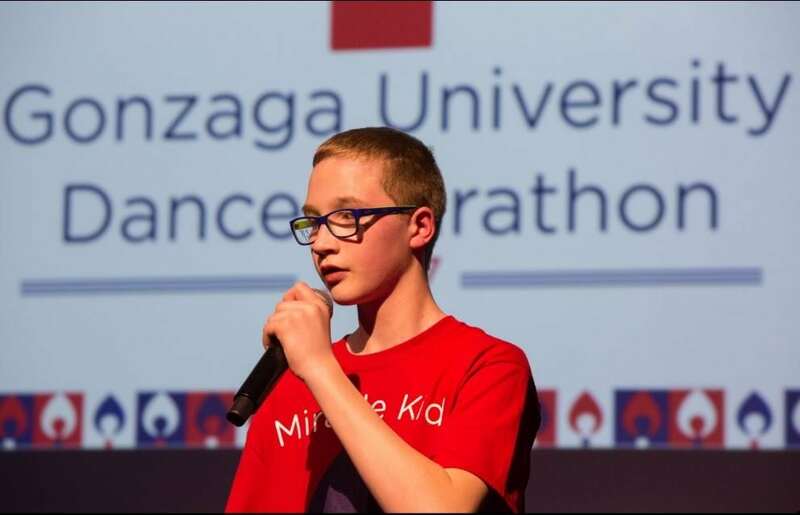 From the Inspiration Station to the inflatables, banners reading “Zags For Kids” and the Dancer Jail, smiles were shared by many, including one of our miracle kids Maddie, who managed to dance the full eight hours. Convincing her parents to stay for the event’s entirety, she pleaded, and I quote, “I have a lot of friends there Mom!” Many of those small details, which collectively make such a big impact on the experience, would not have been possible without our generous sponsors, including first and foremost, Love’s. 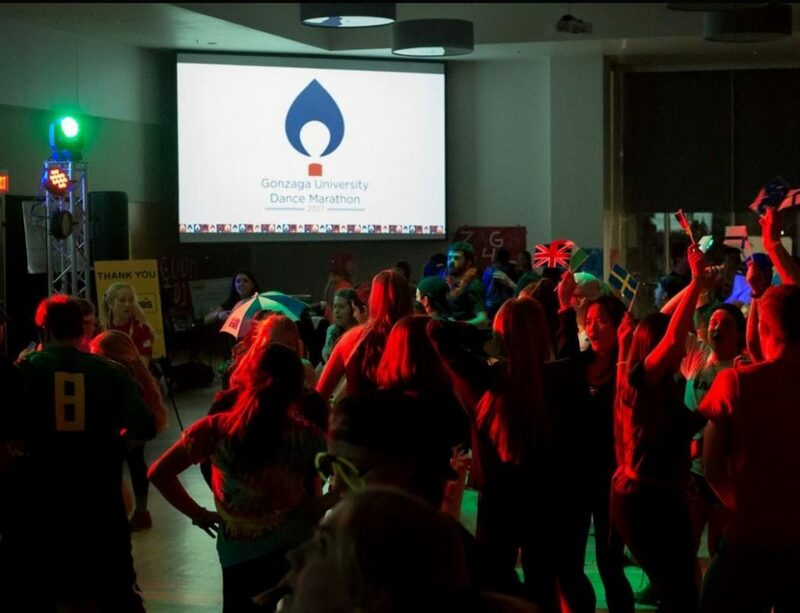 While every theme hour brought new swag to the dance floor, our Around the World hour capitalized on Gonzaga’s commitment to global engagement and our highly success Study Abroad program. A video with current Zags and Gonzaga alumni dancing with us all around the world kicked off the hour! From Boston, Massachusetts to Micronesia, Italy to Spain, this theme hour put on display how much this movement is changing not only our campus, but the world! I dance for my 1 1/2 year old cousin, Maddox Drescher, who was born at 1 lb. 12 ounces. He his now a spunky and inquisitive little boy who will soon become a big brother. 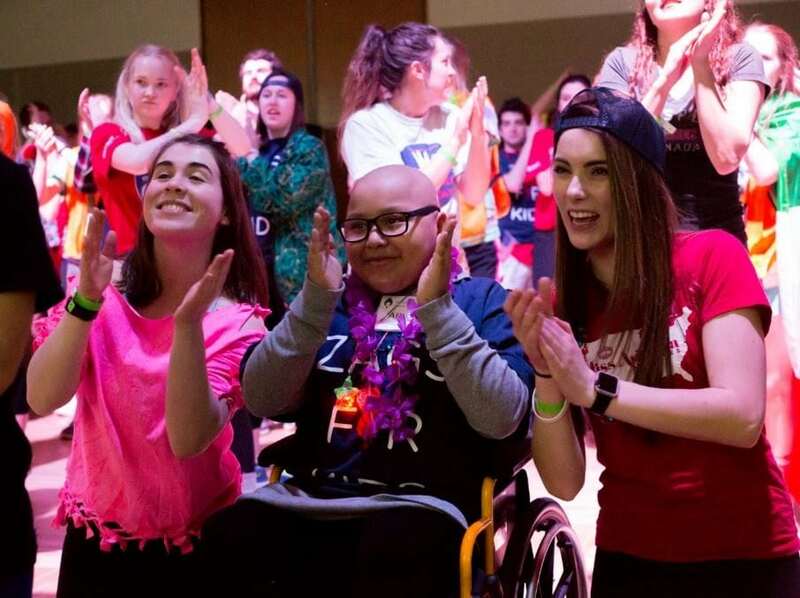 When I received a video of him in his GUDM Miracle Kid shirt the day after the event, I could not help but think of how I will describe Dance Marathon to him; how 532 college students committed their time and energy for kids just like him. As I previously said, here at Gonzaga, you often hear “My Zag moment was…” This is usually the moment a student feels like they have really become a Zag or felt one with the Zag spirit. This past year and on February 11th, I experienced Zag moments like none other. When our regional manager and adviser announced we had received the Love’s partnership; a moment. When our Executive team put our adviser in dancer jail for $200 and later our student adviser was jailed for $500, thanks to University President, Thayne McCulloh; a moment. When Miracle Kid Kaleb shared his own story for the first time ever; a moment. Alison’s mom, tears streaming down her face, thanked us, speaking her native language of Spanish. We didn’t necessarily understand every word, but we felt the impact of the event on her daughter and her family; a moment. When we raised $3,400 in 30 minutes, far surpassing the challenge of $1700 for the 107 kids in this hospital; a moment. 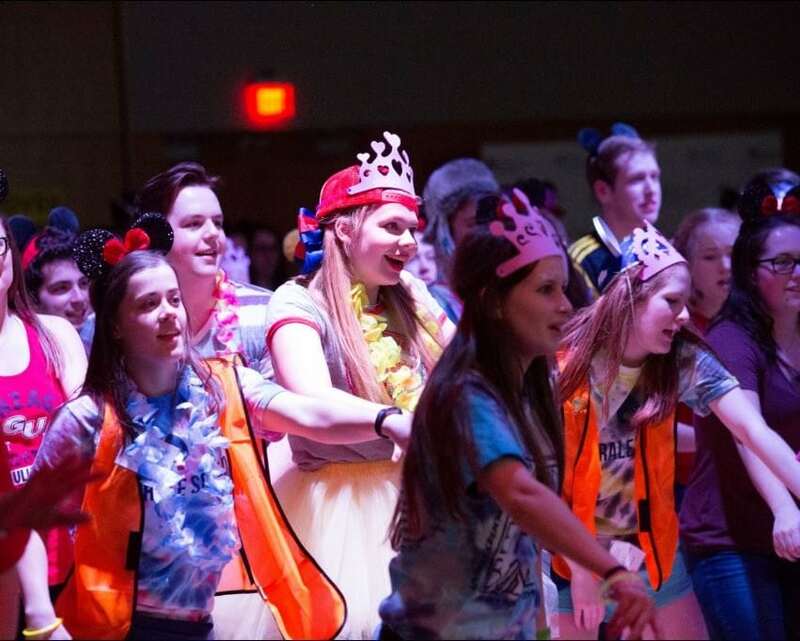 When a 12 year old with dreams of starting a dance marathon at a local high school is our top fundraiser; a moment. When Zags stood in a circle, arms intertwined, tears and smiles across their faces, and realized they had just done something bigger than themselves; the moment. GUDM would not be who we are nor would we be able to accomplish what we do without the support of our students, faculty, and the greater Spokane community. We are so fortunate to welcome Love’s to the Zag family, united by our common goal to fight for the kids. GUDM embodies serving as “men and women for and with others,” an ideal that is a cornerstone of our Jesuit education. The heart of a Zag is a different breed, one that should never be doubted and always believed in; especially those Zags who are for the Kids up on the hill and just a glance through the window away.